The Good: Vivint offers a wide array of products that are all compatible with Amazon’s Alexa and Google Assistant and controlled via the Vivint app. The Bad: If you don’t pay for monthly monitoring, most of Vivint’s smartest features suddenly won’t function. 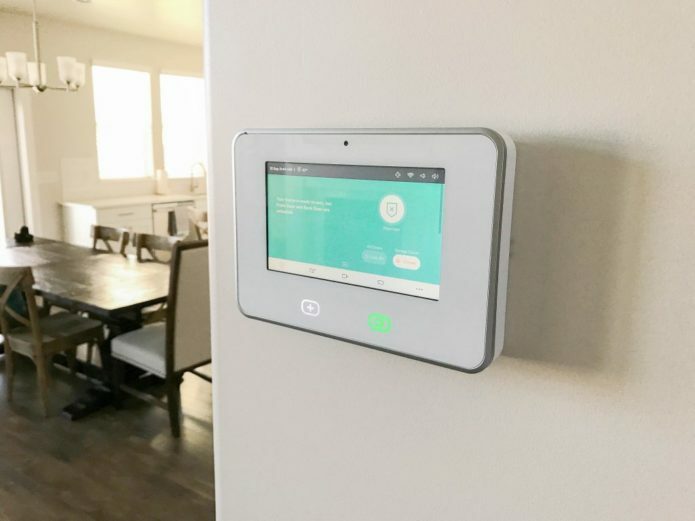 The Bottom Line: Vivint is a solid choice for creating a robust smart home security system, but even with a no-contract option you’ll still need to commit to monthly monitoring if you want full functionality. Smart home security systems are an ever-increasing market, and you have a lot to consider before declaring allegiance. Vivint’s Smart Home is a good option for a monitored smart home with no long-term contracts. The $550 starter kit price tag isn’t outrageous, but be prepared to pay at least $40 monthly for security monitoring, app control and other features that are pretty much mandatory for your system to have any smarts. Compatibility with Amazon’s Alexa, Google Home and Nest thermostats makes Vivint’s platform a solid choice, as long as you know what you’re getting into. 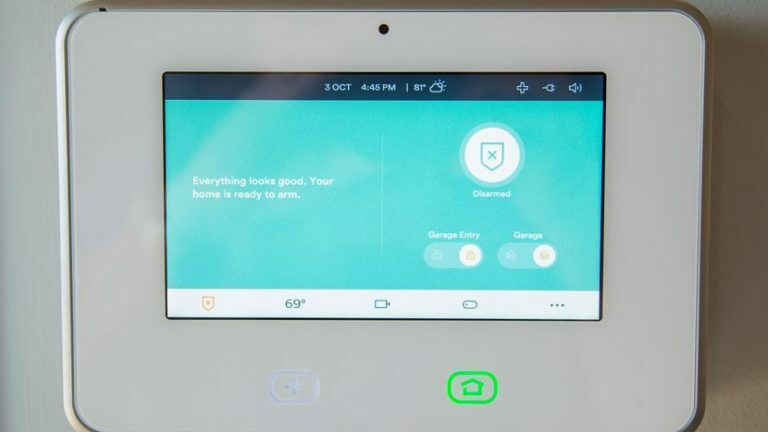 Vivint’s starter kit includes a touchscreen SkyControl panel and choice of six smart sensors. Take your pick of door/window sensors, motion detector, glass break detector, flood/freeze sensors, smoke detector or carbon monoxide detector. From there, you can add additional devices a la carte. Additional door/window sensors, for example, cost $35. Vivint’s products also work with the Nest Thermostat and you can purchase this and an Amazon Echo ($179.99 at Home Depot) as part of your Vivint package. We tested several of Vivint’s products at the CNET Smart Home where Rich, our Vivint Smart Home pro, installed our devices and ensured everything was running smoothly. Installation is priced at $198, but some promotions waive this fee. We put the system through a host of everyday scenarios with multiple users and schedules. At the center of the Vivint suite of products is the 7-inch SkyControl panel. This white, wall-mounted control center acts as your home base for every device. Controlling and adjusting all your devices here is pretty straightforward. The panel’s size and shape feels a bit clunky, but the interface is simple and easy to navigate. The SkyControl panel can run on backup battery power and a cellular connection, so it will continue to work when your power or Wi-Fi goes out. If you’re not at home, you can use your Vivint app, a mobile version of the SkyControl panel, for controls and notifications. There’s also a four-digit PIN to access the panel for added security. Among the additional products Vivint offers are a few interesting camera options. With the exception of two AT&T Digital Life plans that cost $55 and $65, most home security starter kits on the market won’t include cameras or doorbells. Vivint doesn’t include any cameras out of the box, but it does allow you to add devices to the starter kit and essentially create your own package when you sign up. Package prices vary depending on what you buy, but you’ll be able to get all the devices you want in one purchase and one installation. Vivint’s doorbell camera costs $230 and offers you a first look at the front door. It resembles a normal doorbell, but with an added camera eye and a lighted button that triggers a chime from the SkyControl panel and notifies your mobile app. Two-way talk and one-way video mean you can see and speak to people at the door and they can hear and reply. On-demand live video from the Vivint app allows you to view your front door remotely at any time. The doorbell camera features a 180-degree wide-angle view and good night vision. It also boasts “smart visitor detection” so you aren’t notified every time a car drives by. However, we did receive several notifications due to one very persistent flying insect. Vivint offers two additional cameras. The $200 Ping camera, intended for indoor use, and a $300 outdoor camera. What I really like about the Ping camera is two-way talk. You can view the camera’s feed and speak to the room’s occupants from anywhere via the app. Alternately, anyone in the room with the camera can push a button on top of the camera to call you. The outdoor camera works much like a traditional security camera and you can view it via the app or panel. All three of these cameras include night vision and mobile alerts and record 20-second video clips when motion is detected. For an additional $10 more a month, your starter Vivint subscription fee turns into the Smart Home Video service plan, which includes 30 days of continuous DVR recording for up to four cameras if you’ve purchased a 1TB Vivint Smart Drive for $250. While that’s very expensive for a 1TB drive, 30-day continuous recording for four cameras is included. The $50-per-month service plan and $249 Smart Drive combo costs $840 for the first year. By comparison, Nest Aware for four cameras will cost $75 per month or $750 for a discounted annual subscription. Purchasing the Vivint Smart Drive isn’t mandatory, though. You can purchase cameras and pay just the $50 per month video service plan. That extra $10 per month provides the ability to play back, save, download and share video. Without the Vivint Smart Drive, you’ll have access to 10 days of video clips. Vivint purchased cloud storage startup Space Monkey in 2014, renaming it Vivint Smart Drive. We reviewed the drive when it was still called Space Monkey, and Vivint uses this same distributed cloud storage system for continuous DVR recording with cameras and doorbells. Vivint’s smart home system works with Alexa and Google Assistant. Alexa has a wide skill set of Vivint commands. Beyond basic arm and disarm commands, you can ask if the garage door is closed or tell Alexa to turn down the temperature by 3 degrees. And yes, a Vivint installer will get all that integration up and running for you during the initial setup. Getting consumers to buy in to the professional smart home hasn’t been easy. 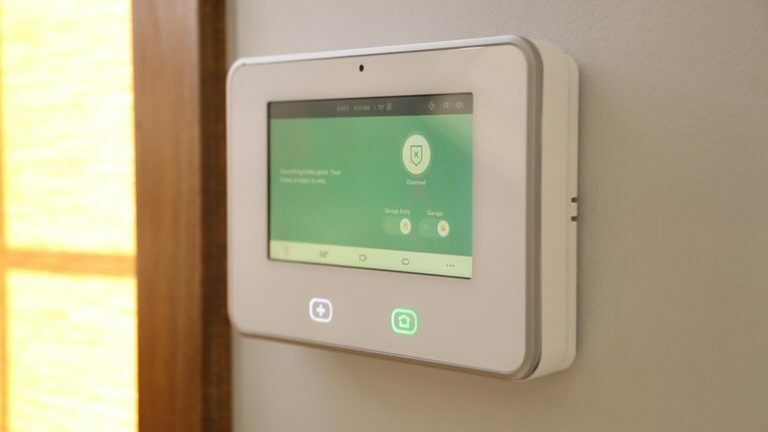 Vivint’s recently revised payment options aim to solve the pricing problem that drives so many consumers away from smart home security systems. Vivint Flex Pay, modeled after the cell phone market, works in partnership with Citizens Bank. Customers may purchase a smart home package, including installation, with a zero-percent (0% APR) interest installment loan. At the start of the loan, you’ll enter into a service agreement priced at $40 per month for Smart Security or $50 per month for Smart Home Video. The service agreement runs the length of your loan, and includes 24/7 professional monitoring with emergency response, cellular connection, 30-day video storage, customer support, in-home service and equipment protection. If you’d prefer to pay for your devices up front, there is a no-contract option. The biggest downside to the Vivint Smart Home is what you’ll lose should you choose to forgo any monthly monitoring. Without monitoring, the system will act as a local alarm only for burglary, fire and other alerts. Emergency services won’t be called. The biggest losses, though, are the essentials that make your home feel smart. That’s where consumers may start to feel a little pinched. You’ll lose voice control for Alexa and Google and access to the Vivint app. o app means no mobile alerts, answering the doorbell remotely or viewing your home’s camera feeds off-site. No voice control means you must control everything via the SkyControl panel. You also won’t receive 24/7 customer support, a warranty for defective products or discounted technician visits past the 90-day free period should any hardware need attention. And of course, there are terms and conditions for moving. Depending on where you are in your agreement, there could be a $99 move fee. If you’ve been a customer for at least a year and sign a new agreement for your new residence, Vivint will waive the fee. If you’re really into commitment and on board with monthly monitoring, Vivint has a solid system here. It offers everything we’ve come to expect in smart home security and it’s compatible with Alexa or Google. Vivint’s cameras work well and offer more than a few nice features. However, you’ve got to play by its rules. If you’re not paying at least $40 per month for monitoring services, you’ll lose a lot of smart home functionality. The SmartThings and ADT home security system offers no-contract monitoring as well. Even without monitoring, you’ll still get notifications on your phone and a control panel that acts as a SmartThings hub. SmartThings and ADT have yet to release any cameras or doorbells for this platform. If you don’t mind a two-year agreement, AT&T Digital Life includes the most devices and a camera with recorded video a competitively priced $55-per-month package. There’s no touchscreen panel, but you can control your system from a tablet or mobile app. Early termination fees can be as high as $840, depending on which package you choose. Xfinity Home by Comcast is similar to AT&T Digital Life in its two-year agreement structure, and it’s cheaper. However, you’ll only get a touchscreen panel, three sensors, a motion detector and a keypad in its $25 per month monitored package. Additional thermostats, smart plugs and door/window detectors were also a bit pricier than Vivint’s. 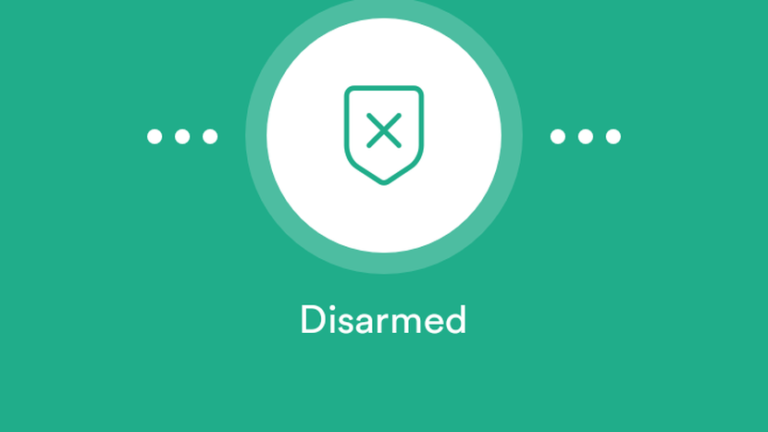 If you don’t want a long-term contract, Ring’s new security system is definitely worth a look. For $10 per month or $100 per year, you’ll get 60 days of live and recorded video for an unlimited number of cameras. Those cameras aren’t included in the basic security system package, but Ring’s doorbells and cameras are competitively priced, starting at $179. Additional sensors and detectors start at $20. Monitoring by Ring is $10 per month. The $199 security kit is available for preorder now and ships in November. You’ll get a base, a keypad, two sensors and one motion detector. Any way you slice it, a complete smart home security system is pricey. What it really comes down to is if you want monitoring and if you’d like to create your own smart home system. If building your smart home system piece by piece doesn’t sound like a fun Friday night, let Vivint install the devices you want, then decide how you’d like to pay and move on with your life. You’ll have a solid, professionally monitored system and peace of mind.